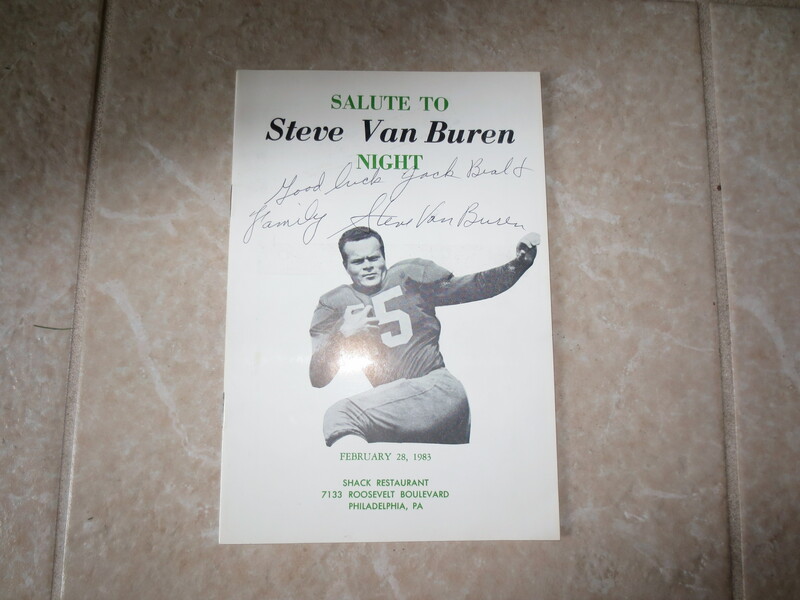 What we have here is an autographed booklet that shared the Salute to Steve Van Buren Night at the Shack Restaurant in Philadelphia in 1983. Steve Van Buren was a member of the 1949 NFL Champion Philadelphia Eagles. He has signed the cover "Good Luck Jack Beal and family Steve Van Buren." Our consignor was a very good friend of his.